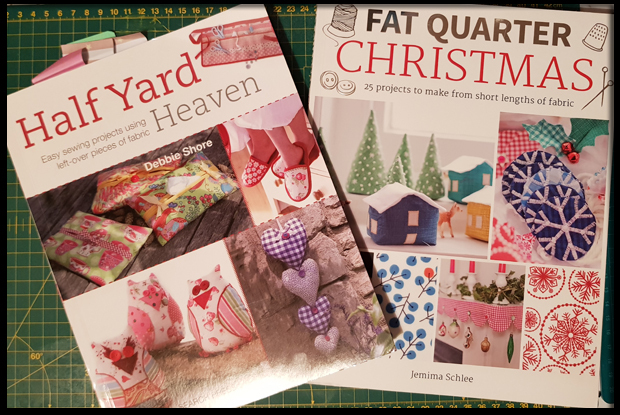 Over the past few weeks, I've been trying out little craft projects from my half yard and fat quarter sewing books. 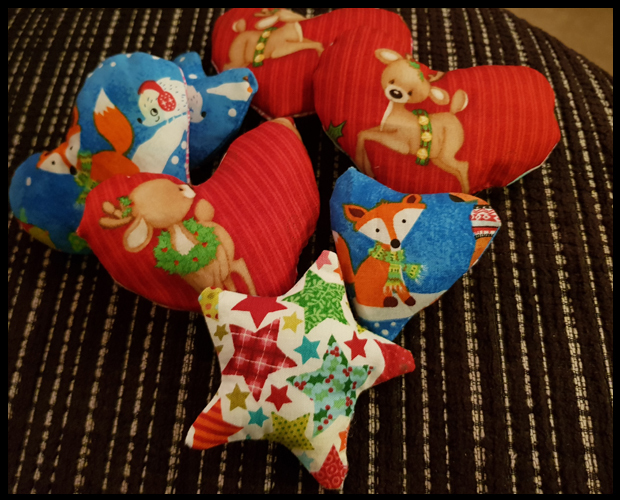 I'm still very much feeling my way around the sewing machine and finding out fast that hearts, skulls and stars are not as easy as they seem especially when they are small! I create these shapes that I can just about pass off as hearts and it's really hard not to just say "Sod this, I'm just not meant to sew", but I'll keep going, I'm hoping over time we can look back at these posts and see how far I've come...... or delete them! For the heart decorations, I used tutorials from a mixture of both books above. Once the hearts were cut and stuffed I added Christmas scents to the middle of the stuffing before sewing up completely. 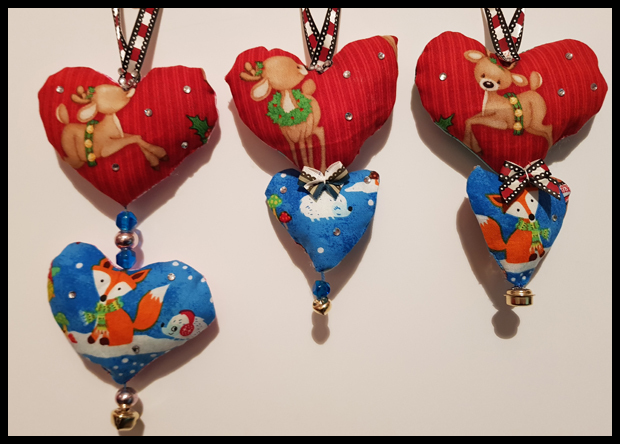 Some of these hearts could just have a bow, ribbon and stones added to them as is, but I felt a bit adventurous and added two together; some with thread and gems between, some without. Still very much trial and error but I think I prefer the hearts with no thread in-between. 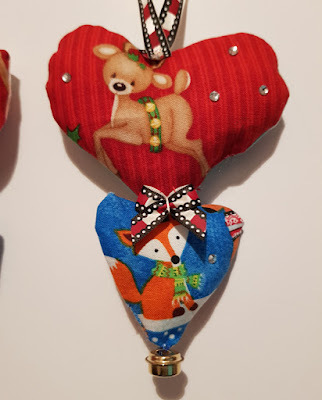 These pretty little hearts need a better background than my plain white wall so I'm rather excited to see what these will look like on my tree with the lights shining off the stones. 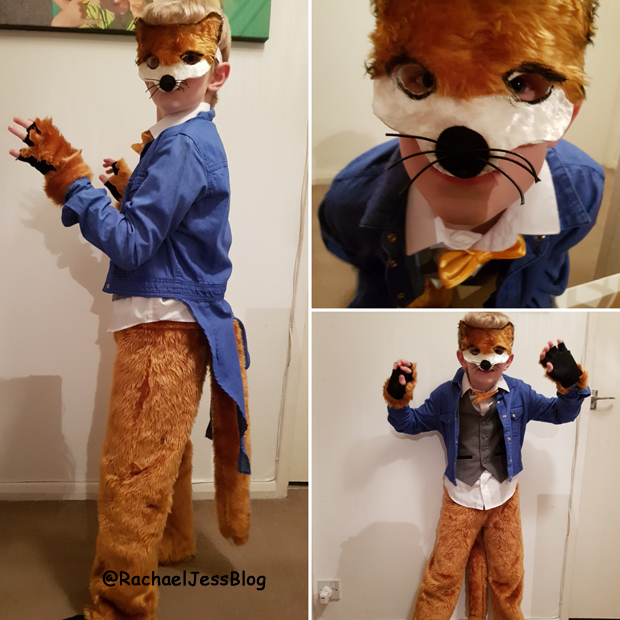 So I'm hoping to update this post in a couple of weeks when we put our Christmas decorations to show off their full potential. Love these and I know exactly what you mean about sewing hearts. 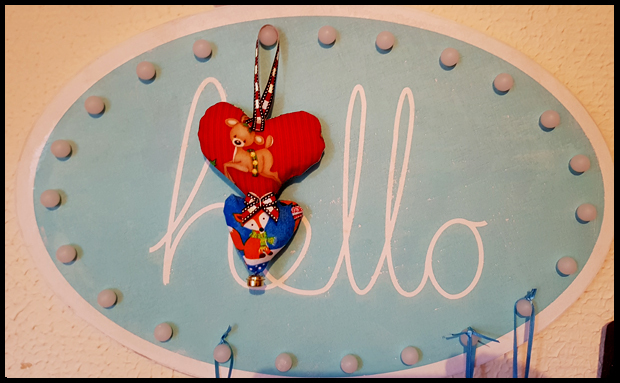 I made some for a Christmas craft blog post a few years back and mine looked very lop-sided. Such a difficult shape. It seems so simple doesn't it! Who knew!